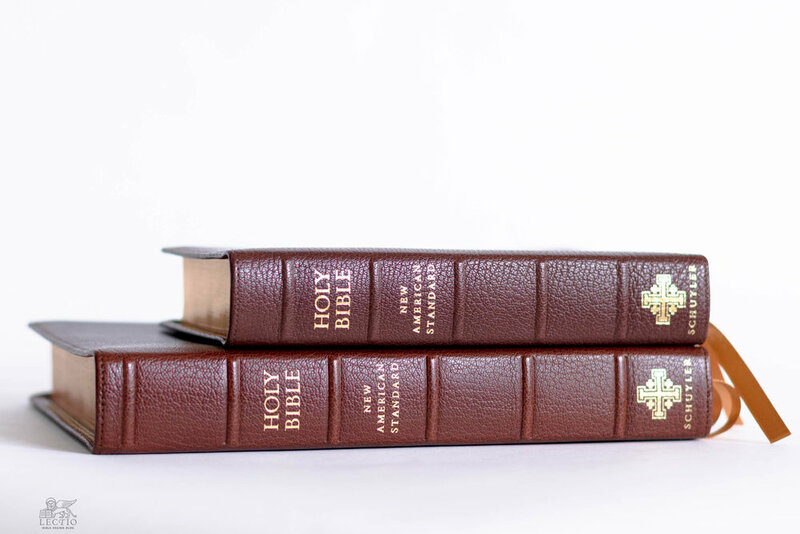 The release of the recent ‘thinline’ Schuyler Quentel NASB bookends an experiment in paper that began several years ago with the release of the original Quentel reference edition. The question asked by that first edition was whether thicker paper might deliver enough vintage-style opacity to compensate for the added bulk. Personally, I wanted the answer to be yes. Nothing has frustrated me more in recent history than our inability source thin paper with opacity comparable to the India paper of old. Every time I begin to think today’s translucent stock is not so bad, I crack open a fifty-year old Bible and feel the urge to weep. O tempora, o mores! 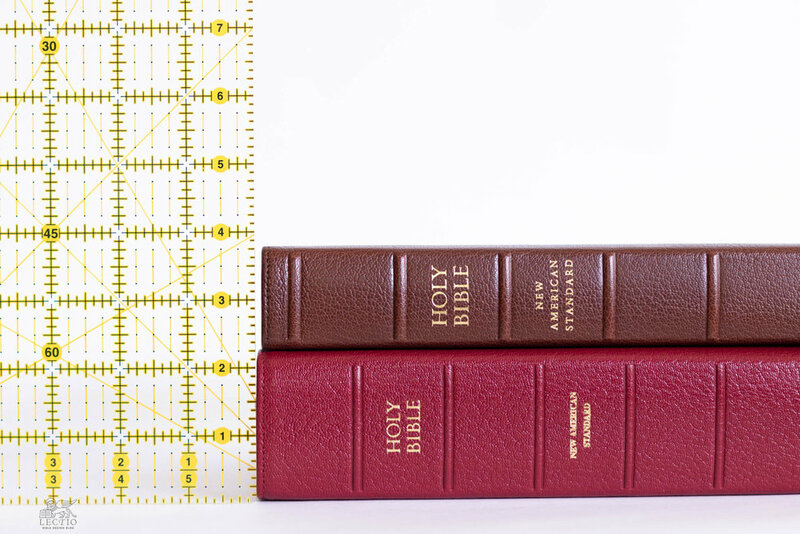 Above: The Thinline is half the thickness of the original Quentel NASB (bottom). Compared to the current generation Quentel, represented above by the recent NIV, it's about 0.25" thinner and maybe 10 oz. lighter. Judging by the fact that every generation of the Quentel slims down in comparison to the original, however, I think we can declare the noble experiment a failure. The sad fact is, there is no one-to-one correlation between a sheet’s thickness and its opacity. Increasing the GSM rating of a Bible’s paper from the 30s into the 40s increases bulk considerably while boosting opacity only marginally. In fact, depending on the paper, a sheet in the 30s might be more opaque, not less, than its thicker counterpart. 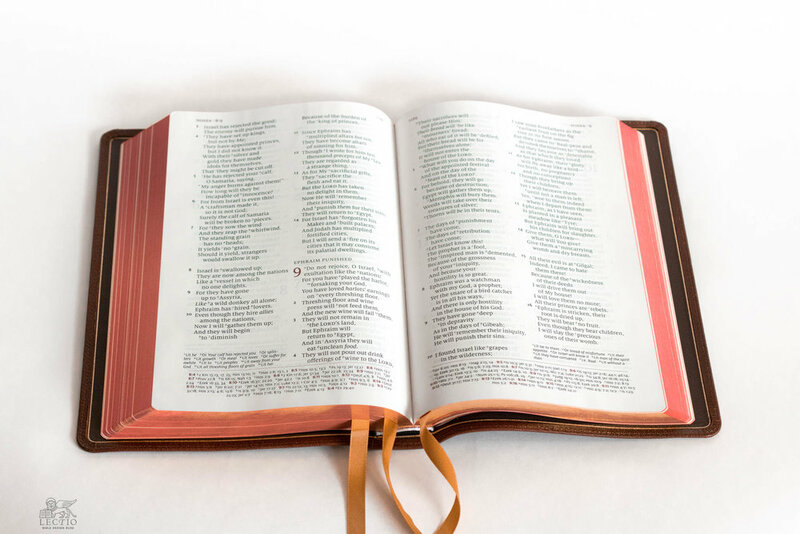 As a result, the current range of ‘regular’ Quentels uses 36 GSM PrimaBible paper, in contrast to the original’s 45 GSM. The change has proven popular with readers. The question is, how low can you go? 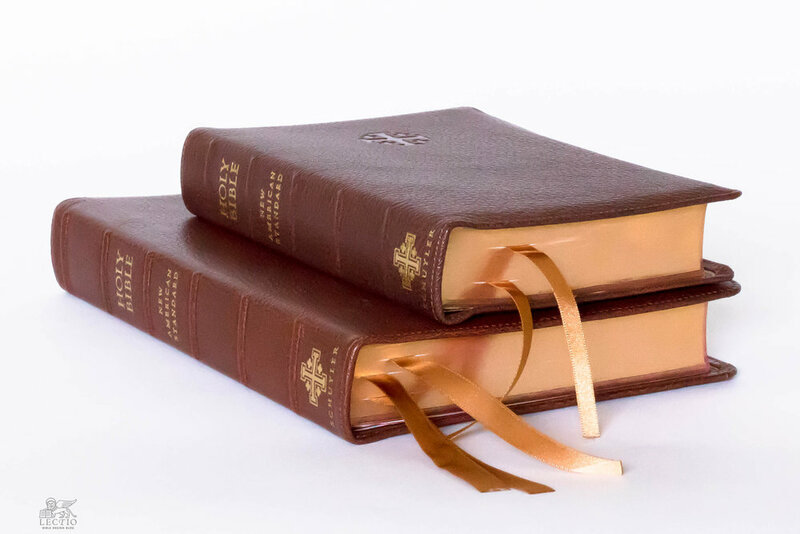 The thinline Quentel uses the same 28 GSM paper stock found in Crossway’s beautiful Heirloom Legacy ESV, another Bible that slimmed down after its debut. This halves the thickness of the Quentel compared to the first edition. The compact Personal Size Quentel uses this sheet, as well. 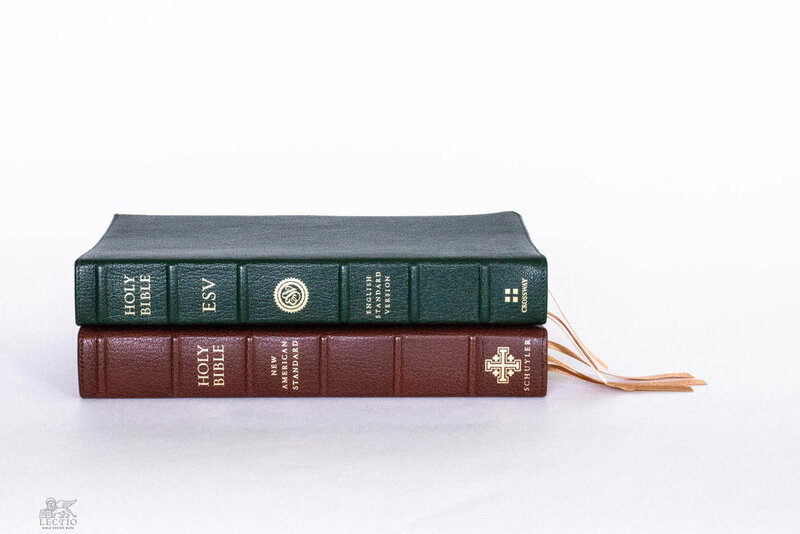 Remarkably, a Bible that once weighed in as a heavyweight alongside the full-size ESV Study Bible now sports a waistline comparable to its pint-size portable companion edition. The inside remains pure Quentel, with one exception: to maximize slimness, Schuyler followed the lead of the Personal Size Quentel and nixed the concordance. Also like the PSQ, some blank sheets in the last signature were converted into lined paper for taking notes. My review copy is bound in Antique Marble Brown goatskin, a skin whose mottled hues lend the cover a lovely depth. 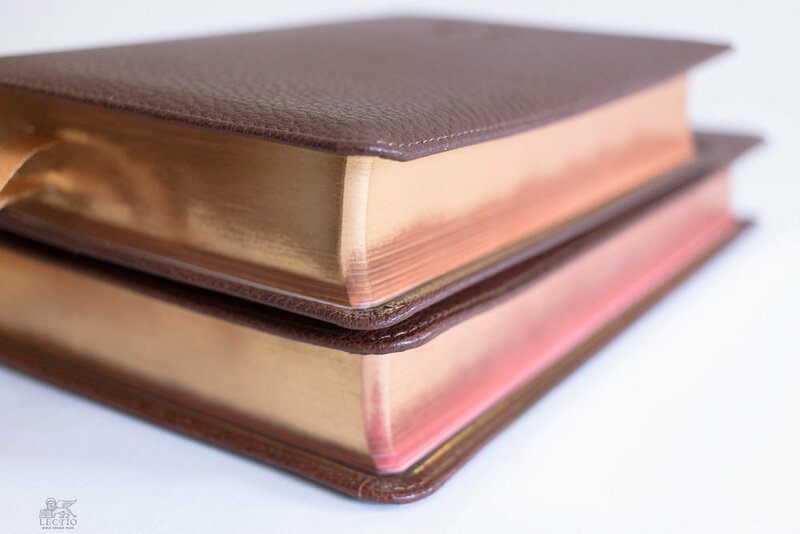 Paired with thick gold ribbons and red-under-gold page edges, in might as well be milk chocolate wrapped in foil. Above: Opacity suffers somewhat in moving from 36 GSM (left) to 28 GSM (right). Are the substantial savings in weight worth it? Eyeballing the current Quentel’s 36 GSM paper alongside the Thinline’s 28 GSM sheet, I perceive that the latter suffers slightly in comparison. But in daily use, the difference does not register much. I am no more conscious of the ghosting on the 28 GSM paper than I am on the 36 GSM page, unless I’m really paying attention. So the Thinline strikes me as a gain in handiness that does not trade off too much readability in return. Now the Thinline is still about 1.5” thick, with a 9” x 6” book block that clocks in at 10” x 6.5” once you account for the overlapped goatskin cover. So we’re talking regular thin, not model thin. 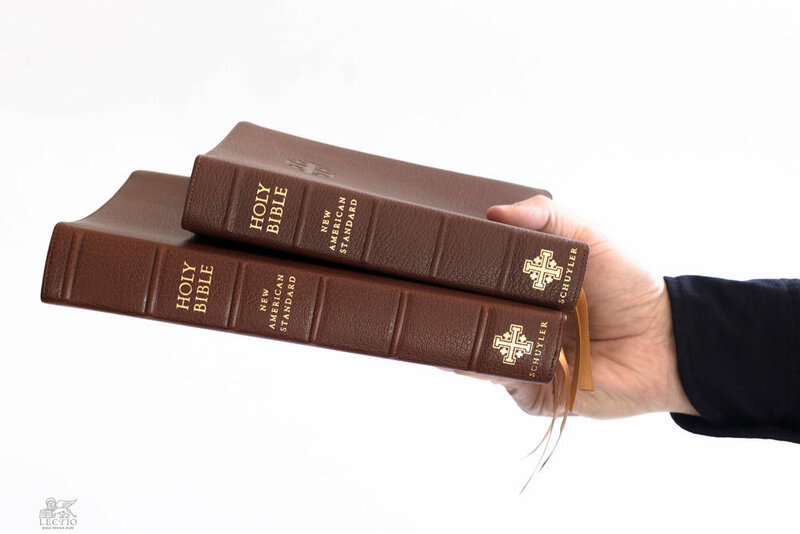 Yet the new proportion adds pliability to the Quentel’s handling, showing off the limpness of the Royal Jongbloed binding in a way that only the big, thin editions really do. The Thinline measures roughly a quarter inch thinner than the regular Quentel NASB, and about 10 oz. lighter, which is not inconsiderable. Still, the pressure to upgrade will probably not be too intense, particularly if you’re one of those people who cannot live without a concordance, or tolerate a slight loss of opacity. The sweet spot for the Thinline will be readers who insist on a more compact edition, but cannot manage the drop in type size from 11 pt. to 8.5 pt. required of the more portable Personal Size Quentel. The Thinline will also be appealing to readers just getting into the Quentel universe. While I find the one-two punch of a regular Quentel at home and a PSQ on the go very appealing, with the Thinline you tick off both boxes with a single Bible. Above: Definitive comparisons between (a) the Thinline, Standard, and Original Quentels, (b) the Thinline and Original, (c) the Thinline and PSQ, and (d) the Thinline and Crossway's Heirloom Legacy. So the thicker paper equals more opacity myth has been busted. And I’m not altogether happy about that fact. One of these days, I hope, some paper mill will catch the vision for producing vintage-level India paper for modern Bible publishing. Until then, we live with the options we have. Let’s face it: All things considered, those options are pretty amazing. 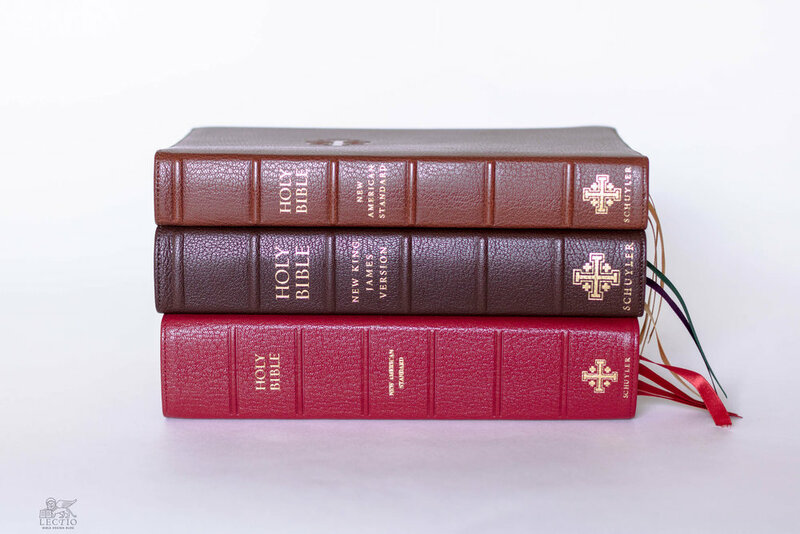 You can purchase a Thinline Quentel NASB from EvangelicalBible.com by following this link. As of publication date, the list price was $195. About J. Mark Bertrand: "I am a novelist, a lecturer, and a typographer. I am a Presbyterian teaching elder and a Southern ex-pat. I am fascinated by pens and paper, printing, books, and anything to do with leather. I live, mainly, in the past." For more, read the full bio.